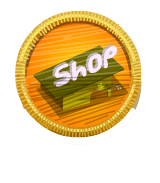 To get the Online Maker badge, you have fill up your Online Maker status, either by creating makeables in the FurnitureShop in TinkerTown or in the MechanicalShop in Junkatolli. 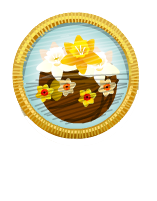 You can also obtain this badge by making mandalas in the Mandala Maker in Sundunia and decorate your TinkaPad. 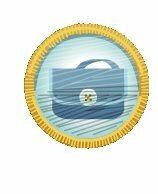 To obtain the Online Giver badge, you need to fill up your Online Giver Status. You can do this by giving items to other Tinkas (dragging them from your bag to them),getting a friend and sending a certain item back and forth until your status is full. Be careful when giving items as the other play may decide to not return them to you. You can also get some status from recycling items at the Sorting Station in Junkatolli. 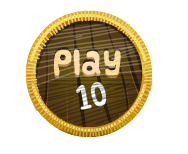 To get the Online Tinker badge you can either play the minigame, “Memory” in Tinkertown, “Add ‘Em 10” also in TinkerTown and the new game, “Stax” in Bluff’s Base. There’s only one way to get the Online Mover badge and that is by playing the game “Move” at the bottom of your screen (the flashing, green button). You will be given an exercise to do in a limited amount of time (You don’t really have to do the exercise, although we do advise you to) and you will be then asked to type in how many reps of that exercise you’ve done. Type in any number. 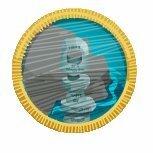 You can get the Online Status badge simply by filling up all your online statuses (Online Mover, Online Thinker, Online Giver and Online Maker). You can all the above mentioned badges by filling up your offline statuses for each type. Please note you can only write in 3 entries in each section per day. Also note that picture entries will give you more points than written entries. To get the inviter badge, you have to invite 10 people to Tinkatolli who then go on to sign up with your invite code. To get the Badge of Paldom, you have to invite a friend who then signs up and plays by clicking on the inviter tab on the left fo the screen. 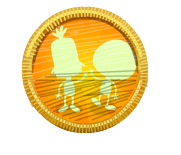 To get the Palomine Badge, you have to add a pal to your buddy list by clicking on their Tinka and clicking ‘Pal Me’. 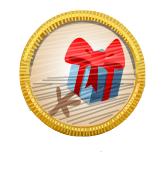 To get the Gifter Badge, you have to give another Tinka a gift by dragging an item from your bag to their Tinka. To get this badge, you have to eat all the blueberries in a room. To get the Jr. Explorer badge, you have to visit all 5 main rooms in Tinkatolli – Stinkatolli, Tinkertown, Canopia, Junkatolli, Blueberry Hill, Upper Canopia and Tinkertown Heights. 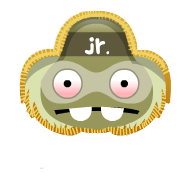 To get the Jr. Collector badge, you have to collect a few items from the ground. 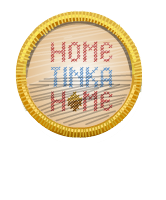 You can get this badge by building an item in the Furniture Workshop in Tinkertown. 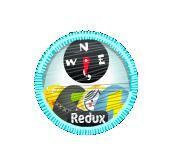 To get the Jr Trader badge, you have to trade atleast once with Trader Tinka. 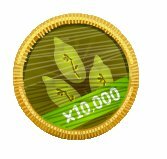 You can get this badge by gaining up to 1000 seeds, either playing Shelldiggr for example, or any other mini games around the Island – Click Here for a list of games. 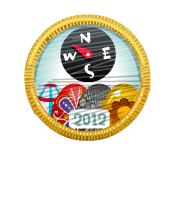 To get this badge, you have to make an entry in your Scrapbook. 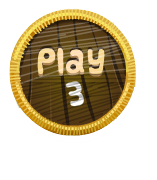 You can get this badge by collecting 100 items and placing it in your bag (just by dragging the item onto your Tinka). 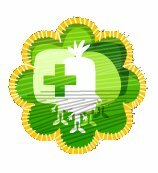 You can get this badge by recycling 10 items in the Sorting Station in Junkatolli. 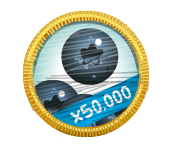 To get the Teleporter Badge, you need to have unlocked the Zoom (Magnifying Glass) skill which you need to have collected 50 Blings for. To get the Flapper Badge, you need to have unlocked the first dance (Flapper) which you need to have collected 100 Blings for. 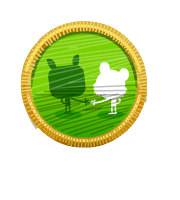 To get the Woot Wiggle Badge, you need to have unlocked the second dance (Woot Wiggle) which you need 500 Blings for. To get the Jumper Badge, you need to have unlocked the third dance (Jumper) which you need 1000 Blings for. To get the Shuffle Hustle Badge, you need to have unlocked the fourth dance (Shuffle Hustle) which you need 2000 Blings for. To get the Super Jumper Badge, you need to have unlocked the fifth dance (Super Jumper) which you need 3000 Blings for. 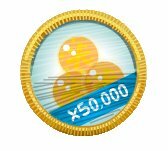 To get the Flopper Badge, you need to have unlocked the sixth dance (Flopper) which you need 5000 Blings for. To get the Flipper Badge, you need to have unlocked the very last dance, (Flipper) which you need a total of 8000 Blings for. 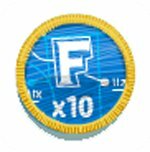 To get the Blueberry x1000 badge, you have to collect 1000 blueberries by dragging them to your Tinka. 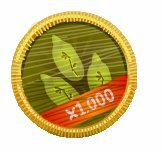 To get the Blueberry x10,000 badge, you have to collect 10,000 blueberries by dragging them to your Tinka. 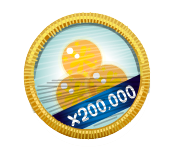 To get the Blueberry x20,000 badge, you have to collect 20,000 blueberries by dragging them to your Tinka. 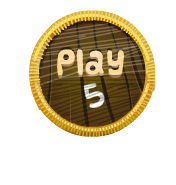 To get the Blueberry x50,000 badge, you have to collect 50,000 blueberries by dragging them to your Tinka. To get the Blueberry Millionare! badge, you have to collect 1 million blueberries by dragging them to your Tinka. Eggceptional Design Badge To get the Eggceptional Design badge, you had to design an Easter egg and upload it to the Tinkafair in the Art section. You cannot get this badge anymore. To get the Eggplorer ’11 Badge you had to collect all 14 eggs hidden around the Island for the Easter Egg Scavenger Hunt. The only way to collect all 14 eggs now is to trade items with the Trader Tinka for it. You cannot get this badge anymore. To get the Egg Redux badge, you had to collect all 12 rare Egg Hunt Redux eggs. You cannot get this badge anymore. 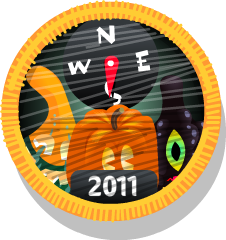 To get the Halloween Gourd Hunt 2011 badge, you would of needed to collect all 8 gourds. You cannot get this badge anymore. 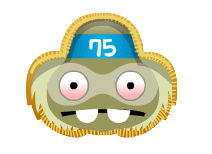 To get the Franken Badge, you had to collect all 8 body parts in the Franken-Pieces Member Only Hunt 2011. You cannot get this badge anymore. To get the Jack-O-Cavern badge, you have to complete the Haunted Stinkarinth and find Jack-O-Cavern. CLICK HERE for the guide. You cannot get this badge anymore. 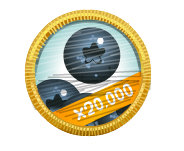 To get this badge, you had to collect all 12 Snowglobes in the Christmas Snowglobe Hunt 2011. You cannot get this badge anymore. 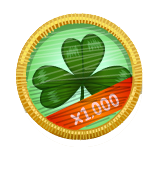 To get the Shamrock 1k Badge, you had to collect 1000 clovers on St Patrick’s Day as part of Tinkatolli’s St Patrick’s Day celebrations. You cannot get this badge anymore. 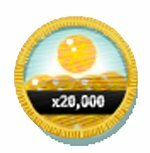 To get the Egg Hunt 2012 badge, you had to collect all the Eggs released on Easter for the Egg Hunt 2012. You cannot get this badge anymore. 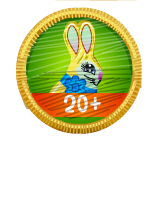 To get the Chocobunny Rookie badge, you had to collect 20 chocobunnies or more in the Chocobunny hunt of Easter 2012. You cannot get this badge anymore. 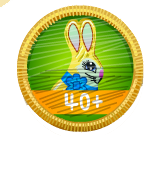 To get the Chocobunny Enthusiast Badge, you had to collect 40 chocobunnies or more in the Chocobunny hunt of Easter 2012. You cannot get this badge anymore. 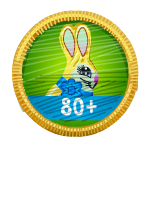 To get the Chocobunny Freak Badge, you had to collect 80 chocobunnies or more in the Chocobunny hunt of Easter 2012. You cannot get this badge anymore. To get the Home Sweet Home Badge, you have to find your home in Canopia, using the map or by putting an acorn on the spoon in Canopia. To get the Superbly Seasonal badge, you had to decorate your pad for the festive Christmas season. You cannot get this badge anymore. To get the Superbly Spring 2012 badge, you had to decorate your pad with spring decorations for Easter. You cannot get this badge anymore. To get the Sea Glass Hunter Badge, you need to collect all 8 pieces of red hourglass located in different areas in Tinkatolli – Click here to find out the locations. To get the Asimov Badge, you need to have located Asimov – Click here to find out the location. To get the Canopia Cavern Badge, you need to have located Canopia Cavern – Click here to find out the location. To get the Cavern Crystal Badge, you need to have gained the Cavern Crystal in The Quest For The Cavern Crystal – Click here to find out how to get the Crystal. [NotOutYet] To get the Junkey badge you need to find the hidden island. 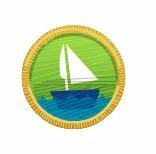 To get the Sea Explorer badge, you have to build an SS Milk boat in the Mechanicals shop in Junkatolli and sail over Canopia by placing it on the bridge in Canopia. 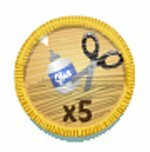 To get the Kelp Key Badge, you have to sail to Kelp Key with an SS Milk boat you make in the Mechanicals Shop in Junkatolli. To get the Game On! Badge, you have to play a game on Tinkatolli. To get the Shopper Badge, you have to buy something with Trinkets in any shop. 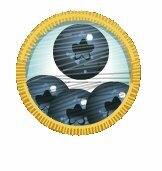 To get the TinkaTester badge, you had to have been playing Tinkatolli since Private Beta. This badge is automatically added to your account. 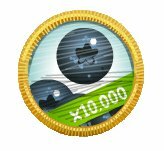 You cannot get this badge if you haven’t been playing Tinkatolli in Private Beta. 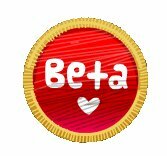 To get the Beta badge, you have to have been playing Tinkatolli in Open Beta. This badge is automatically added to your account. 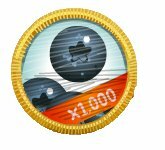 You cannot get this badge if you haven’t been playing Tinkatolli in Open Beta. To get the lightning trader ribbon, you have to be the first Tinka to trade with Trader Tinka. To get the Turbo Trader ribbons, you have to be the 2nd, 3rd, 4th, 5th, 6th, 7th, 8th, 9th or 10th Tinka to trade with Trader Tinka. 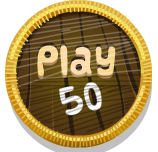 To get the Nifty Fifty ribbon, you have to be 11th – 50th Tinka to trade with Trader Tinka. 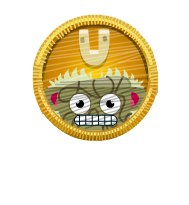 To get the Dirty Dozen Doh Badge, you have to be unlucky/lose 5 times in a row at the Dirty Dozen Trader in Junkatolli. 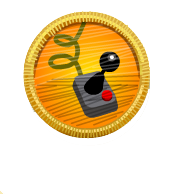 To get the Dirty Dozen Drats Badge, you have to be unlucky/lose 10 times in a row at the Dirty Dozen Trader in Junkatolli. To get the Unusual Clearing Badge, you have to buy 1 of every item in the Unusuals Outlet in Tinkertown. To get the Login 3 Badge, you have to login on Tinkatolli 3 days in a row. 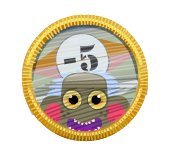 To get the Login 5 Badge, you have to login on Tinkatolli 5 days in a row. 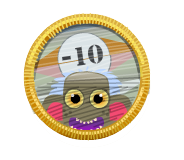 To get the Login 10 Badge, you have to login on Tinkatolli 10 days in a row. 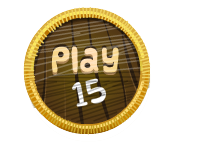 To get the Login 15 Badge, you have to login on Tinkatolli 15 days in a row. To get the Login 20 Badge, you have to login on Tinkatolli 20 days in a row. 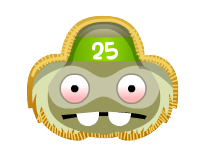 To get the Login 25 Badge, you have to login on Tinkatolli 25 days in a row. 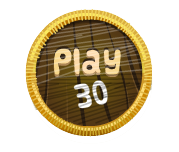 To get the Login 30 Badge, you have to login on Tinkatolli 30 days in a row. 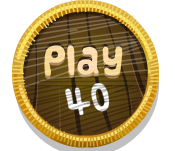 To get the Login 40 Badge, you have to login on Tinkatolli 40 days in a row. To get the Login 50 Badge, you have to login on Tinkatolli 50 days in a row. 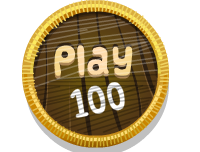 To get the Login 100 Badge, you have to login on Tinkatolli 100 days in a row. To get the Login 365 Badge, you have to login on Tinkatolli 365 days in a row. This badge was gained by pledging $10 or more on Kickstarter. You cannot get this badge anymore. This badge was gained by pledging $25 or more on Kickstarter. You cannot get this badge anymore. This badge was gained by pledging $50 or more on Kickstarter. You cannot gain this badge anymore. I hope I can get all the badges one day… You guys are missing the Blinger badge for getting 10K blings though. 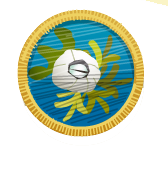 According to the Tinkapedia, there is now a Membership badge and the Cassi Flower has been moved to Quest Section. I have noticed just one error. I thought i’d point it out to make this the best blog ever. 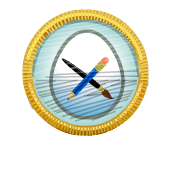 Tinkertown Rock badge – “To get this badge, you have to sail to the hidden island.” (You don’t have to find the Tinkertown Rock, just gotta sail to the hidden island, you can see when you hover over the Tinkertown Rock badge on your status). 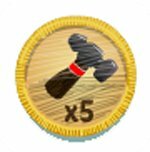 Egg Hunt Badges – you should make an update saying that you can no longer earn these badges and that you had to have collected the eggs DURING the hunt to receive the badge, can’t receive the badge now. how do I level up if the rockbadge is not out yet? Hey Joelle, i dont have the tinka tester badge but i was a tinka tester and i’m 253 days old. ? I’m confused because even some of my friends have it and there younger on the game! please help. 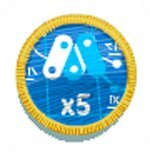 You also missed the Tinker Town Rocker badge! Hey Joelle you got a mistake there! We can get the tinkatrader x now so you can erase that not out yet part! 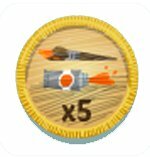 I think the super explored badge has to do with getting 5 explorer badges I guess! Are you sure you don’t have it in your playercard? 🙂 If you don’t, do you want me to ask a staff member? Nice stamps… Should get some soon!! hi, my tinka made 1st page of the gallery but i didnt get a badge? do you know anything about this? Thanks! Have you got x5 in the same section or are they in different sections? u need to update page!!! I have the super jumper skill and I don’t have a jump. Can you tell the staff. If you have super jumper, it means you have jump too. Is it the badge you’re missing? Great update thanks for keeping new players up to date. I don’t have the open beta badge, I first came here at May. But everyone gotten the open beta badge except me. 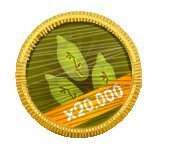 Hello again, I have 20,000 seeds but i don’t have the badge. Can you tell the staff? 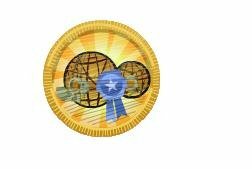 i feel alot comperdent on tinkatolli now thanks to tinkatollitips.com i find that being on tinkatolli loads has made my badges harder to get! You can’t become a tinka-tester more. You had to register in closed beta to become a Tinka-testers, but your still a beta tester and your account will be rare in the future once beta testing is over. Why can’t i get the Beta badge? Email kevin@tinkatolli.com and ask for him next week as it’s the weekeend. 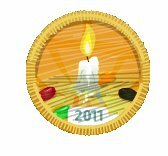 I whould like to know when xmas is ready on Tinkatolli and if you have to be a member to get the christmas badges!? I am but my friends on Tinkatolli several times asked me! Also my friend had made tinka-makeable and she had a badge and a member badge and when her membership finished,she lost both why did that hapen?